Robert H. Neja, 84, of West Bend, entered Eternal Life with Jesus on Thursday, October 25, 2018 after 62 wonderful years of marriage with Anne “Dolly” Neja. Bob passed away at home, surrounded by his family, after his battle with pancreatic cancer. Bob was born on January 16, 1934 in Milwaukee to the late Daniel and Marion Neja. Bob started his athletic career at St. Boniface Catholic Grade School and continued at Messmer High School, becoming a three sport letter winner in basketball, baseball and football. After graduating from Messmer High School in 1952, he attended St. Norbert College, earning a degree in Education. While at St. Norbert, Bob lettered four years in basketball and baseball. He was named Most Valuable Athlete. He also earned All-Midwest Catholic College Basketball team honors. Bob married the love of his life and high school sweetheart, Anne Poehlmann on June 30, 1956. He then entered the U.S. Army on July 6, 1956 and was honorably discharged July 5, 1958 as a First Lieutenant MSC. After the Army, Bob began his illustrious teaching and coaching career at his Alma Mater, Messmer High School in Milwaukee. During his time at Messmer from 1958 to 1970, Bob taught biology and coached football, track, baseball and basketball. He accumulated a record of 158 wins and 63 losses as head basketball coach and his teams were Conference Champions four years and WISAA State Champions in 1966 and 1968. They were State Championship Runners-up in 1967, losing the title game by one point. Bob continued his teaching and coaching career at West Bend East High School from 1970 to 1995. He was the West Bend East Boys Basketball coach for five years and the West Bend East Girls Tennis coach for over 20 years. His tennis teams won eight conference championships, while qualifying numerous players and teams to the State Tournament. His positive influence on students and athletes cannot be overstated. His philosophy was to help the kids grow to be great people first, winning along the way. In honor of his years of success, Bob has been inducted into several Halls of Fame: Messmer High School, St. Norbert College, Wisconsin High School Basketball Coaches Association, Wisconsin High School Tennis Association, West Bend East High School, and the Old Time Ballplayers’ Association. Bob treasured time with family and friends. He also enjoyed getting away to his and Anne’s cottage (Neja-Niche) in Tomahawk. 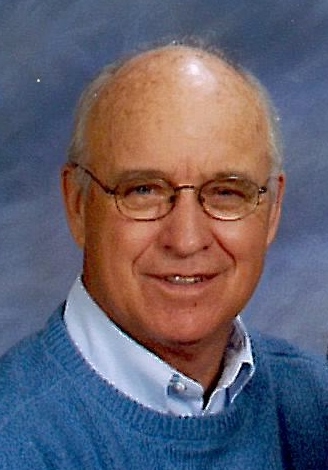 He was an avid sports fan, especially enjoyed attending his grandchildren’s sporting events. Bob loved cooking, golfing, fishing, tennis, playing cards, volunteering at the Full Shelf Food Pantry and Columbian First Friday fish fries. He was also an active member of St. Frances Cabrini Catholic Church and the Knights of Columbus Fr. Casper Rehrl Council #1964. His faith was his priority in life. Those Bob leaves behind to cherish his memory include his wife, Anne; four children, Bob (Karen) Neja of West Bend, WI, Steve (Linda) Neja of Belle Vista, AR, Pete Neja of West Bend, WI, and Beth (Rick) Roth of Stevens Point, WI; 10 grandchildren, Bill (Bridget) Neja, Andy Neja, Chris Neja, Kayla (Greer) Stamatis, Kelsie Neja, Luke Neja, Haley (Alex) Ransom, Allie (Kyle) Hopp, Megan Roth, and Joey Roth; three great-grandchildren, Liam Neja, Lorelei Neja, and April Ransom; 44 nieces and nephews, other relatives and friends. In addition to his parents, he was preceded in death by two sisters, Catherine Schultz and Betty (John) Woest, and a brother, Dan (Bette) Neja. Funeral services in honor of Bob will be held on Tuesday, October 30 at St. Frances Cabrini Catholic Church (1025 S. 7th Ave, West Bend) with visitation from 2:00 to 4:30 P.M. followed by a Knights of Columbus service at 4:45 p.m. and Mass of Christian Burial at 5:00 p.m. After the Mass a reception will be held in the church hall. The family expresses their gratitude to Dr. Alexandra Fairchild, Dr. Colin Mooney, the nurses and aides at Froedtert, St. Joseph’s and Community Memorial Hospitals, and Horizon Home Care and Hospice for the care given to Bob. In lieu of flowers, memorials to The Threshold, Inc., a Pro Life organization of your choice, or the Full Shelf Food Pantry would be appreciated.